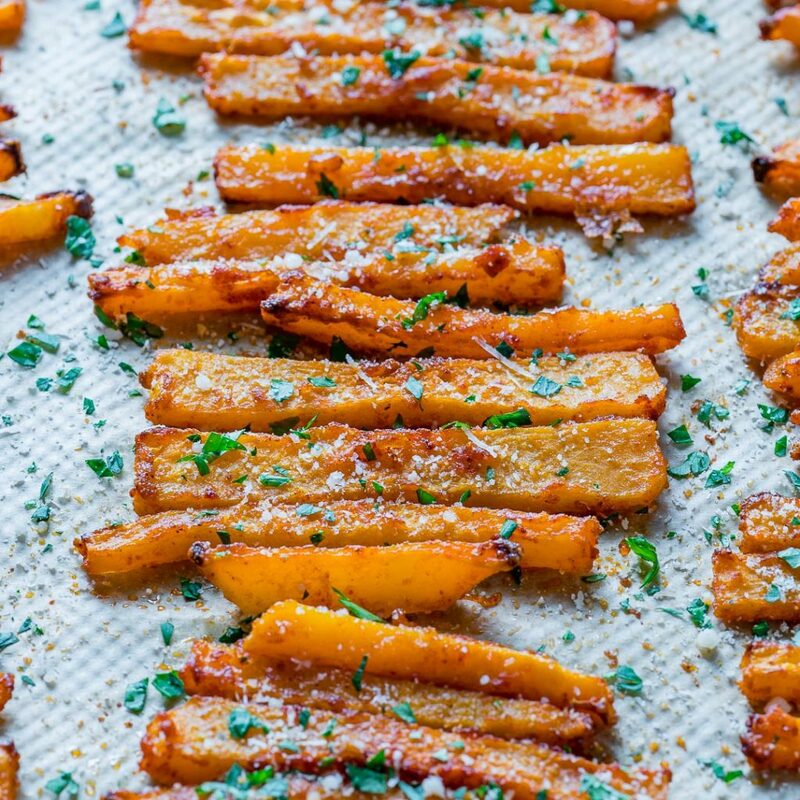 Baked Parmesan Butternut Squash Fries are Your Healthy Carb Solution! Line two or more baking sheets with parchment paper. 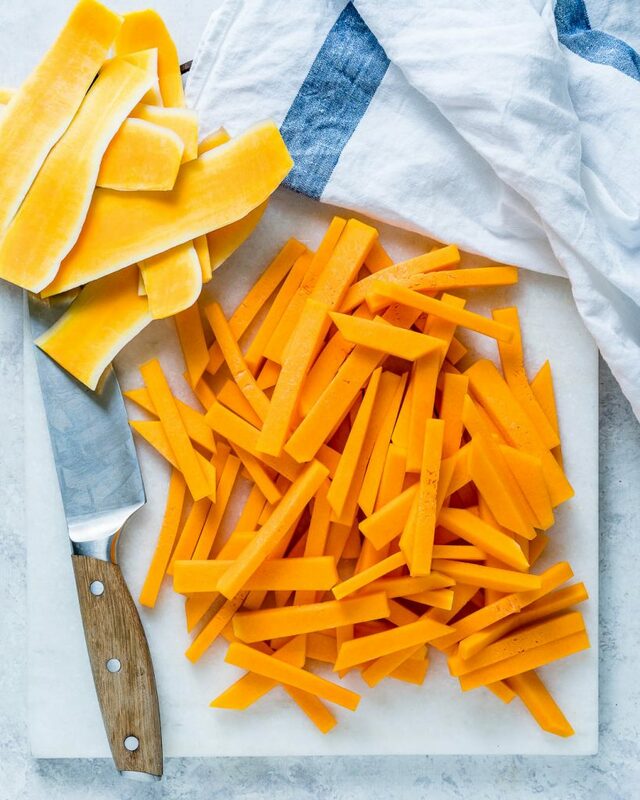 Using a sharp vegetable peeler, peel the butternut squash, then cut it in halfand scoop out the seeds. 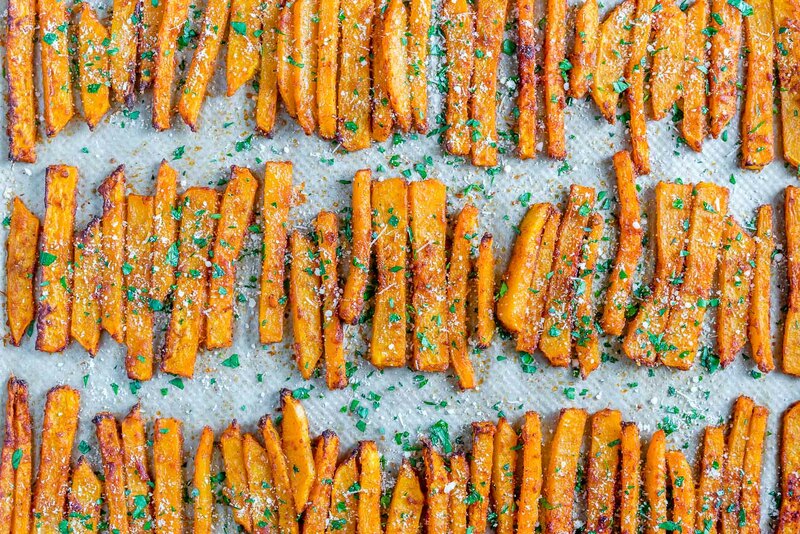 Slice the peeled pieces into 1/4″ fries. Place the fries in a large bowl, and add in the oil, salt, cornstarch, cayenne, paprika and garlic powder. Toss gently to get them all coated. 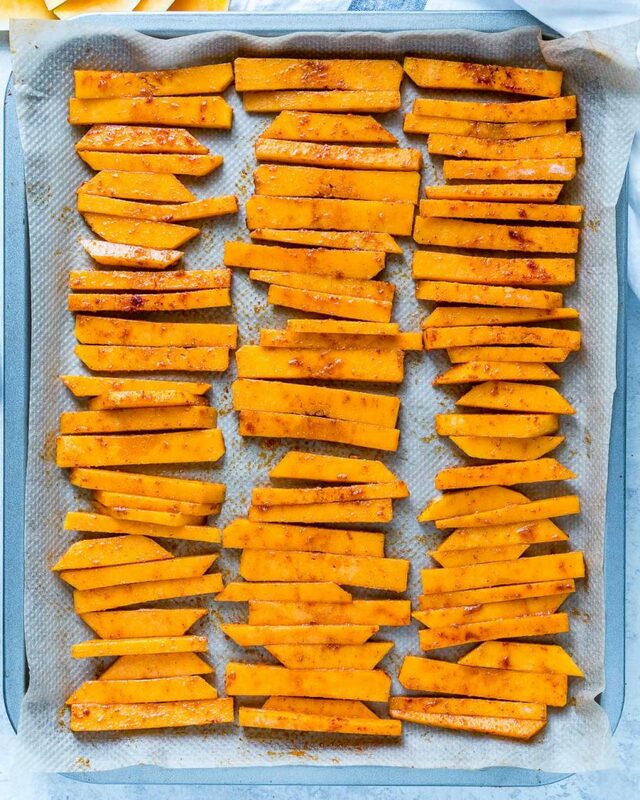 Spread fries in a single layer on the prepared baking sheets. Bake in your preheated oven for about 15 minutes, flipping once halfway through, until the fries are crisp and golden brown. 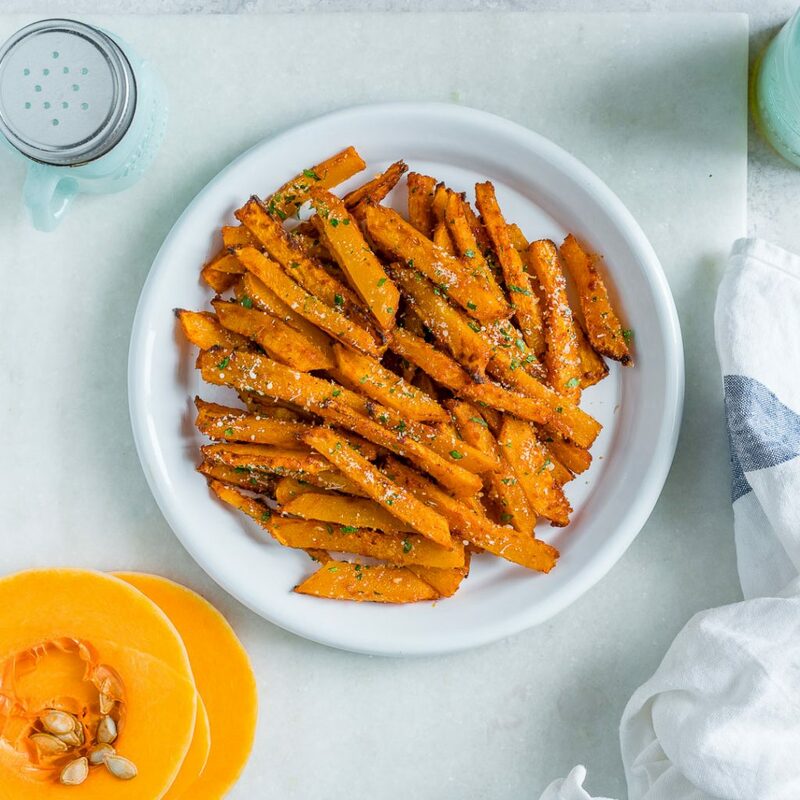 While the fries are baking, toss together the parmesan cheese and parsley in a small bowl. 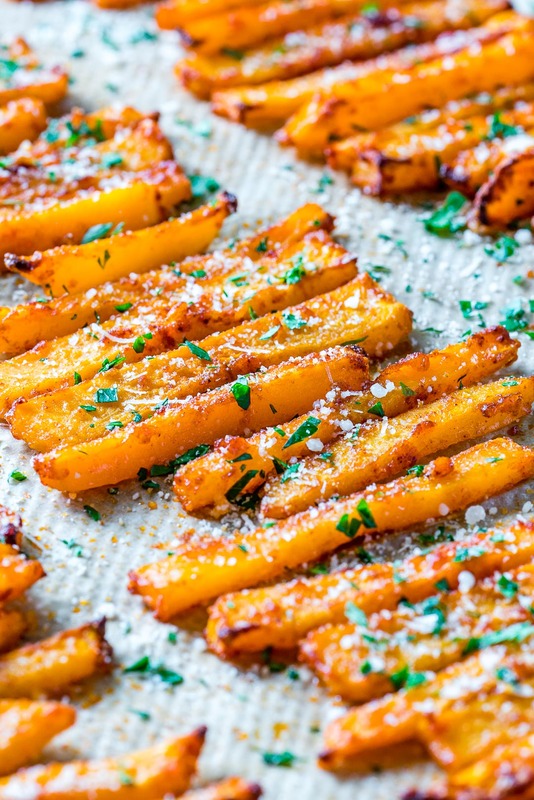 Once the fries are ready, sprinkle on the Parmesan mixture, and enjoy immediately! 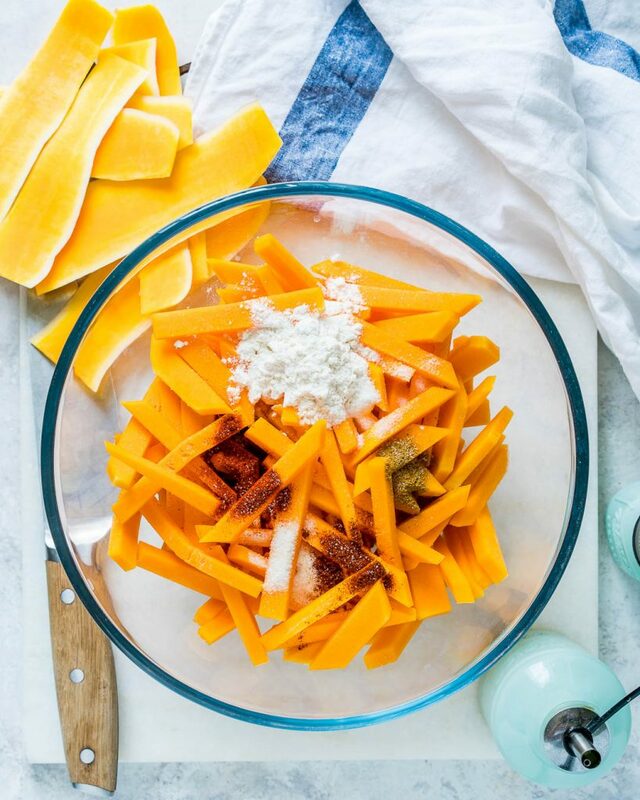 Using a sharp vegetable peeler, peel the butternut squash, then cut it in half and scoop out the seeds.